This multiauthor book celebrates the bicentenary of the Missionary Oblates of Mary Immaculate (OMI), founded by St. Eugène de Mazenod, and arises from an international conference on French spiritual traditions hosted by the Oblates in San Antonio, Texas, in November 2016. More broadly, this book aims to make available to a wide readership the riches of the important family of French spiritual traditions originating between the seventeenth and nineteenth centuries-not least the emphasis on mission to the poor. French traditions have been greatly underestimated in conventional histories of Christian spirituality, but their spiritual wisdom offers much to today's believers. Philip Sheldrake is professor and director of the Institute for the Study of Contemporary Spirituality at Oblate School of Theology, San Antonio, Texas. He is also senior research fellow at Westcott House in the Cambridge Theological Federation and senior research associate of the Von Hügel Institute, St Edmund's College Cambridge. Philip Sheldrake is a well-known authority on Christian spirituality and on spirituality more generally and has written or edited seventeen books. 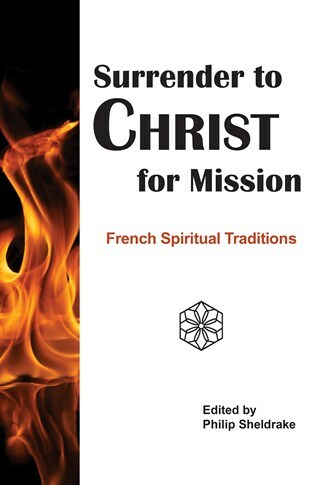 "Surrender to Christ for Mission is a masterful guide to the extraordinarily rich, though sometimes underappreciated, French spiritual traditions of the 17th through the 19th centuries. This collection of well-written and reader-friendly essays, authored by a team of distinguished specialists in the field of Christian spirituality, offers a fresh, timely, and judicious introduction to these traditions' major figures and themes that makes this book an essential resource for both the scholar and the general reader." "This helpful collection makes available in straightforward style the many dimensions of traditional French spirituality for today's reader. Through both historical and thematic approaches, and with special attention to mission to the marginalized, it lays out the unity and diversity within the movement."